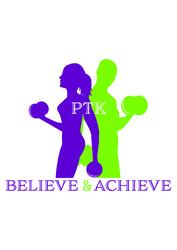 PTK is a health and fitness business. We focus on empowering, educating and supporting individuals to improve their overall health and lifestyle. We understand the stresses and struggles of every day life, fitting things in, emotional habits, feelings and the stress society puts on us. We provide people with a safe and comfortable environment where they can come workout and receive all the support they need to adapt their lifestyle and maintain it successfully. We allow parents to bring their children to classes and have books and activities for the kids to do too. We have a friendly approach so please feel free to message us at any point.